Yesterday morning I was up quite early to get washed and then wait to be taken to theatre. From what I could see through the dressing the abscess was now purple/black, large and sore, just as I was leaving the bathroom it opens slightly and was bleeding in the dressing. As I came out they were waiting to whisk me away as they wanted to squeeze me in early, otherwise I would have had to wait hours and there was a greater risk of an emergency coming in and it being cancelled. It only took about 15-25mins to complete and a sample was sent away for analysis. By 11:30 I was back on the ward and enjoyed a little snooze to catch up from the night before. I’m assuming that as I have to go back to theatre on Thursday they left the wound open. It gives a better chance of getting the infection out and they can close it up when they are happy with the progress. As there is so much bandage and it is tightly compressed it’s hard to bend the knee, I have to negotiate the place in the wheelchair with my leg sticking out and a larger turning circle. It was all change in the bay in the afternoon the lady opposite and the one next to her had got places at a local interim nursing home. This freed up two beds but meant they still got the nursing care they needed before they’re fit enough to go home. That left three of us and I was praying that we didn’t get anyone else in the bay till the next morning. I didn’t get hardly and sleep again last night, not really through pain just uncomfortable and not really tired. At about 01:00 a bed was taken out of the bay and I expected someone to brought straight in but thankfully it didn’t happen. At 06:00 our new bay buddy was brought in and it turns out they had her by the desk in the corridor all night, with good reason. This lady is exceptionally confused, probably dementia again, wanted the toilet, whaling, constantly whining, then aggressive, whining again and then kept saying she wanted to die, please just let her die. Since she has started talking to us she just keeps asking the same questions and saying the same things over and over again, I feel it will be a long day. One of the Health Care Assistants said at least I was up in the corner and had a window view. I said that thankfully the windows didn’t open too widely, she said if they did she would have held my hand and come with me. That’s the thing that gets me through being in here is the banter I am very lucky and privileged to have with the staff on the ward. My plan for today is to keep my head down and get on with my Sketchbook Project, as I only have 14 days left to get it finished in, and I probably won’t feel like doing any tomorrow. 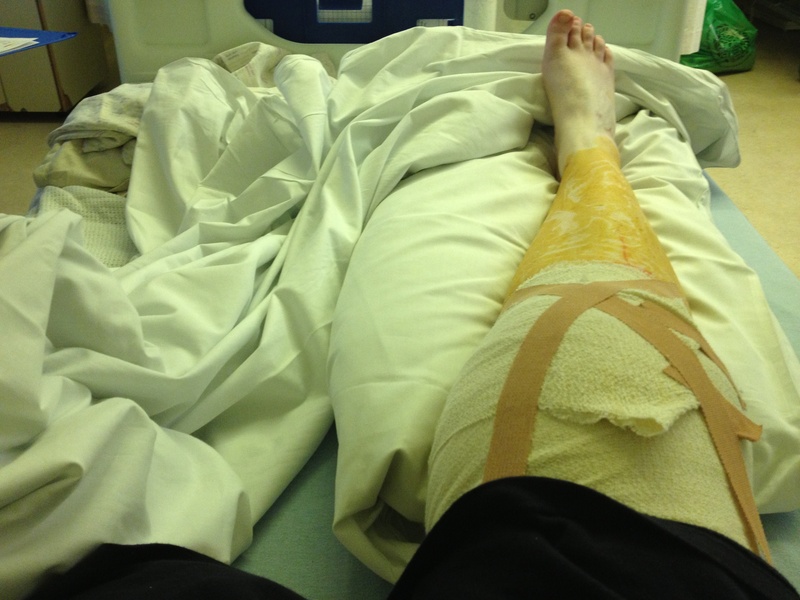 Hopefully they can close the wound tomorrow and I can be home on Friday in time for tea and medals.